Great website design is key to this. The Internet is now the go-to resource for customers and clients when making a business decision, from research to actual purchase. ITC Digital prides itself in being at the forefront of modern website design techniques specifically aimed to increase revenue for businesses. Our team of web designers have extensive experience. The graphic design and online marketing skills in designing responsive websites are visible with our end results. Coupled with our content management systems, we are the cream of current web design agencies. We offer our services to clients in Newcastle Upon Tyne and throughout the North East. User Experience (UX) and User Interface (UI) design is the practice of designing websites so they best fulfil their function. Are they easy to navigate, easy to find information and meet their marketing and technical requirements? Before starting any projects we ask a series of questions. We design sites to appeal to their likely user base. How IT-savvy are they? Do they already know your project or service? Do they need extra assistance in using the site or will they know exactly how to find the information they need? What does your website want to say? How shall we structure the site? Does it need a search function? How best shall we layout each content type? When developing our Sitemap, does each section have equal weight and importance? What is the best way for users to navigate your site? Shall we use a top bar, sidebar, footer or a combination of links? How can we best layout the page on the “grid” for mobile, tablet and desktop? Does it work effectively on all devices and browsers? Does the site cater for portrait and landscape layouts? Does it require optimisation to ensure minimal delays on mobile devices? We take client’s marketing objectives and create attractive, easy to use designs aimed to maximise the investment clients make into their websites and online presence. We can work with any concept, either to a client’s brand guidelines or we can help develop a website from scratch. Powering our websites are a combination of clever code and useful functions. From being able to edit site content, e-commerce, to user interaction, we have the skills in-house to create websites that meet any project requirement. Our systems are simple to use by both the user and the website administrator. Every site we design and develop is fully responsive. 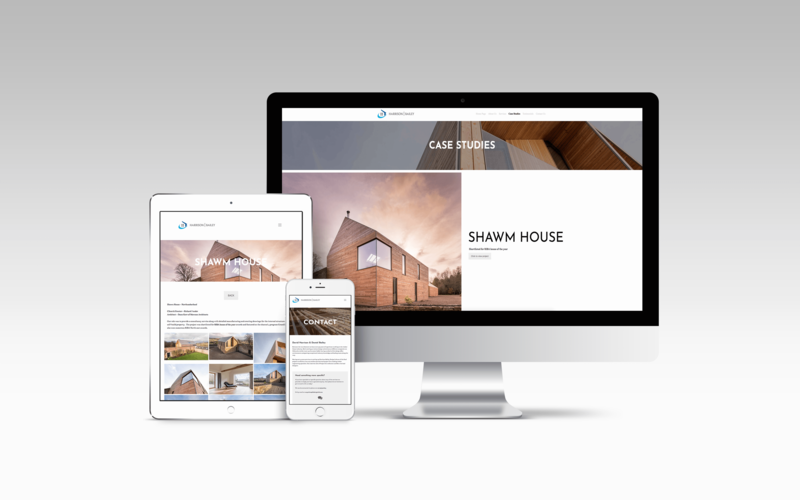 Our sites work across a whole suite of devices – mobile, tablet, desktop – from a single installation. 75% of all web traffic is now via a hand-held device – sites which are not responsive are not delivering.